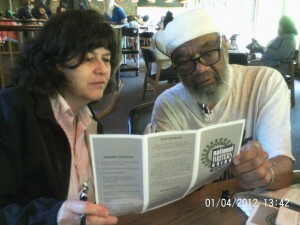 Chaplains Yusef Salaam and Beverly Quinn discuss the NWU brochure. Three hundred members of the United Auto Workers Chaplaincy Program recently gathered for the 29th annual conference on June 5 in Onaway, MI. Elder Herb Taylor of Region 5 (Kansas City, KS) presided as international leader of the group. 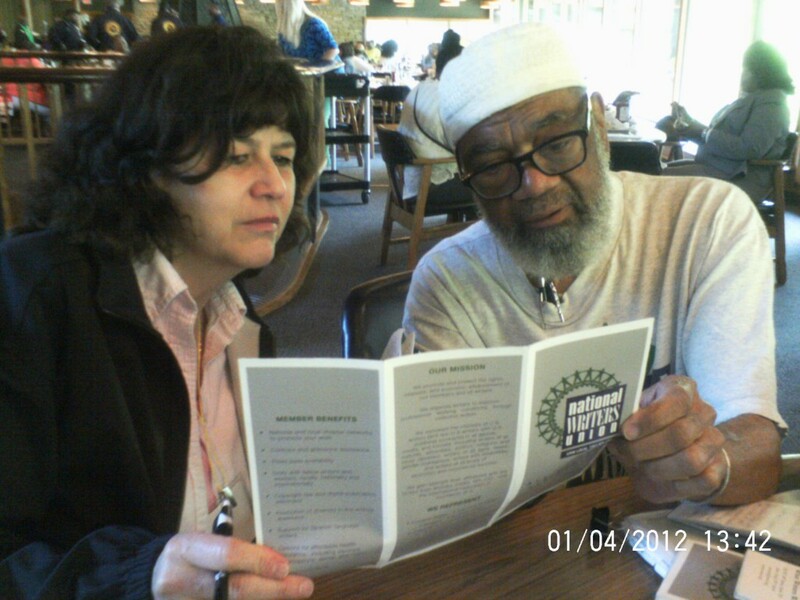 The chaplains serve in a volunteer capacity and are mainly employed at various UAW work sites in the US as electricians, pipe fitters, custodians and the like. They engage employees inside and outside the work place through one-on-one dialogue, phone calls, home visits and more, counseling them as they face various life challenges. Some are battling drug addiction, others are dealing with domestic violence, a death in the family, or mental illness. Chaplains also help workers celebrate good times, attending their weddings, baby showers, and graduations. Brother Elder Chairman Herb Taylor, International UAW Chaplaincy Chairman, thank you for inviting me to be your special guest at the 29th UAW Chaplaincy Conference 2016 at the Walter and May Reuther Family Education Center here at Black Lake, Onaway, Michigan. I pray that all of the members of the national regions present here are being immersed in blessings more numerous than the stars. I’m the only chaplain from my region and the only Muslim at this prodigious affair. You have shared your love in the most graceful manner. This is my first time at the event, and as the aphorism goes, First impressions are the most lasting. You have claimed me as a brother of the Abrahamic faiths and have welcomed me into your meetings, your worship services, and your tables in the dining area. I have stretched my legs out in the comfort of your living room, so to speak, and your hospitality will always be endeared in my heart. My name is Yusef Salaam, and I’m from New York City, Region 9-A, Local 1981. I represent the National Writers Union, which is under the umbrella of the UAW. I’m also the co-chair of the NWU Steering Committee along with Alex Faiz. Members of the NWU, under the leadership of President Larry Goldbetter, are in a marathon battle for the rights of all word workers, novelists, bloggers, journalists, poets, journalists, spoken word artists, etc. We are organized to protect our labor from predators who seek to hijack our hard-earned money, bamboozle us during contract negotiations, and pay us peon wages, or not pay us at all. UAW President Dennis Williams spoke passionately this morning about the greedy, wealthy corporate barons who rob workers of their wages and try to crush their dignity when they toss stones of protest demonstrations in front of their castles, or courageously vote to strike and let the crops rot in the fields until their demands for a living wage are met. President Williams emphasized that various workers have battled against these Goliaths and won. It is un-Christian, un-Jewish, and un-Islamic to work a person and pay him or her little or no wage. That is an atrocious crime that violates the lifeblood of one’s humanity. Please support Region 9-A, the National Writers Union and keep us in your prayers.